It’s possible to produce hydrogen to power fuel cells by extracting the gas from seawater, but the electricity required to do it makes the process costly. 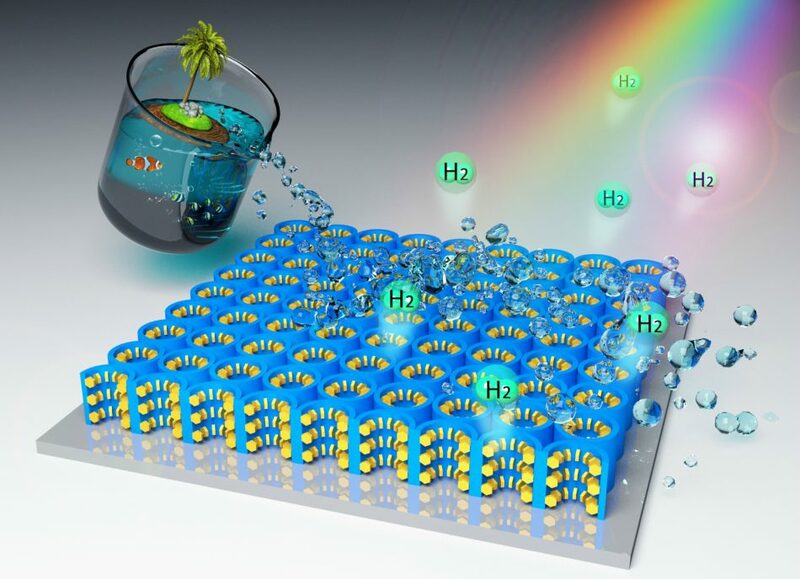 UCF researcher Yang Yang has come up with a new hybrid nanomaterial that harnesses solar energy and uses it to generate hydrogen from seawater more cheaply and efficiently than current materials. Yang, an assistant professor with joint appointments in the University of Central Florida’s NanoScience Technology Center and the Department of Materials Science and Engineering, has been working on solar hydrogen splitting for nearly 10 years. It’s done using a photocatalyst – a material that spurs a chemical reaction using energy from light. When he began his research, Yang focused on using solar energy to extract hydrogen from purified water. It’s a much more difficulty task with seawater; the photocatalysts needed aren’t durable enough to handle its biomass and corrosive salt. As reported last week in the journal Energy & Environmental Science , Yang and his research team have developed a new catalyst that’s able to not only harvest a much broader spectrum of light than other materials, but also stand up to the harsh conditions found in seawater. Typical catalysts are able to convert only a limited bandwidth of light to energy. With its new material, Yang’s team is able to significantly boost the bandwidth of light that can be harvested. By controlling the density of sulfur vacancy within the nanoflakes, they can produce energy from ultraviolet-visible to near-infrared light wavelengths, making it at least twice as efficient as current photocatalysts. Fabricating the catalyst is relatively easy and inexpensive. Yang’s team is continuing its research by focusing on the best way to scale up the fabrication, and further improve its performance so it’s possible to split hydrogen from wastewater.